GEOSTIM is a fluid organic fertilizer characterized by a high concentration of Carbon obtained ​​from vegetal extracts and Potassium. The Carbon is in the form of polysaccharides that are molecules with a function very similar to that of humic and fulvic acids. The formulation has been enriched with amino acids of vegetal origin which stimulate the plant metabolism helping to overcome the thermal, water and salt stress. 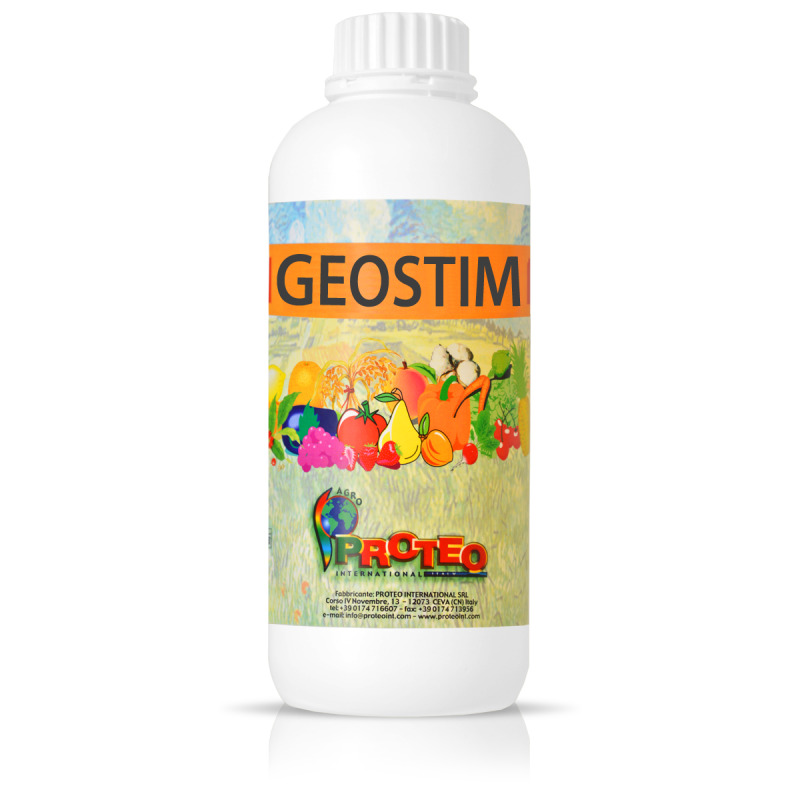 GEOSTIM also contain glycine betaine, a molecule with osmo-protective action (reduces the transpiration) and with an antioxidant effect that stimulates the metabolism and enzymatic reactions helping to overcome thermic, water, salt and environmental stresses.